Yesterday was a good day. I made some pretty awesome finds. I actually went to look for some materials and, naturally, made a few other stops along the way. I like to multitask whenever I need to run errands. I'm pretty sure anyone who does any crafting or reads any crafts/mail/decor related blogs or websites have already seen them. Washi or masking tapes that is. They are everywhere. I've been thinking about getting a few at some point, but always though the price is a little steep, especially since I didn't have a specific project for it. I really just wanted to try it out. Well... It might have happened that I found some on sale and couldn't decide between a few. It also might have happened that I ended up buying a couple (nine counts as a 'couple', right?). So, now I can try it out and see what the hype is all about. 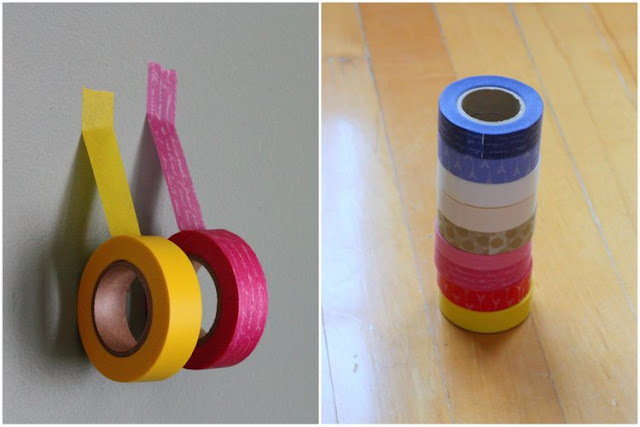 Have you tried washi tape? Did you like it? Where or how did you use it?